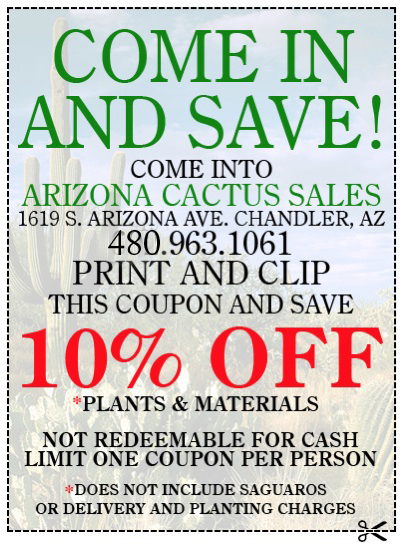 Come in to the Arizona Cactus Sales store and save! Print and clip this coupon to save 10% off all plants and materials. *This does not include saguaros or delivery and planting charges. Not available in online store. Click on the coupon to open it in a new window.